Let’s dig in to the ways these features help insurance providers, fleet managers and new car dealers. For insurance providers, the CrashBoxx vehicle risk management solution with instant crash alerts is the first line of defense against claims fraud. More importantly, the immediate availability of crash information with a severity rating enables faster response to the crash scene for improved medical or life-saving care. 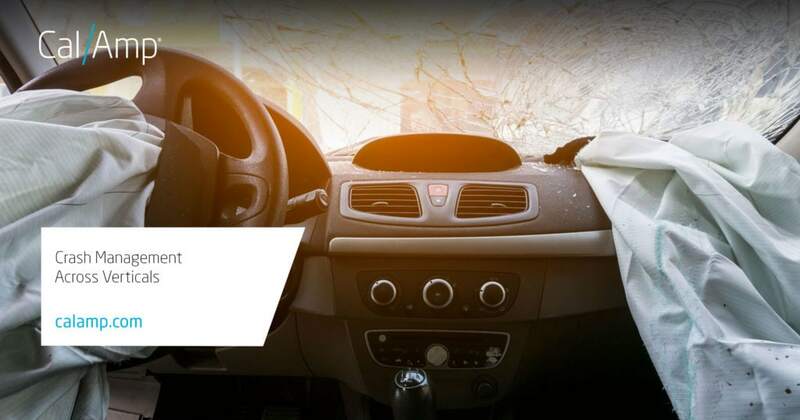 For deeper insight, accident reconstruction reporting assists in the investigation to help verify the accuracy of the driver’s crash report, enable more successful subrogation and mitigate fraud. Predictive physical damage improves vehicle triage in the field. By providing a detailed list of parts and automating all functions associated with material damage, CrashBoxx helps speed claims processing while lowering cost. Fleet managers can now be immediately aware of any accidents and quickly repair damaged vehicles to keep their service vehicles rolling and maintain operational efficiency. In the event of a crash, fleet managers can rely on CrashBoxx instant crash notifications to facilitate emergency response. Near real-time predictive physical damage enables businesses to send the right service to the right place at the right time to accelerate the repair process and save valuable time and money. During the investigation process, accident reconstruction provides detailed reports and valuable insights into the crash to mitigate workers’ compensation liability. CrashBoxx protects assets whether they are on the lot, out for a test drive, or already sold. If a crash occurs, CrashBoxx delivers real-time crash notifications that can generate new revenue by offering the opportunity to repair or service the damaged car through the dealer’s body shop and service department. Predictive physical damage helps determine whether a vehicle is a total loss or can be repaired. If the damaged vehicle must be replaced, the dealer can sell the customer a new car and offer vehicle financing. CrashBoxx also provides remote vehicle diagnostics and maintenance reminders to improve the customer experience on the lot and after the sale. The flexibility of the CrashBoxx system enables dealers to develop and offer new value-added services to maintain customer engagement and facilitate servicing for the full life-cycle of the vehicle. The CrashBoxx vehicle risk management system gives insurers, fleet managers and car dealers the tools to mitigate fraud and lower liability and cost while improving the experience for both the employee and the customer. For more details check out our CrashBoxx page.